Our run will start on Friday 26th with the muster point being the Monkton Services on the A77 / A78 junction. Our route will then take us over the Erskine Bridge on to the A82 and North up Loch Lomond side to Tyndrum, through Glen Coe, over the Ballachulish Bridge to Fort William. From Fort William, still on the A82 and past the Commando Memorial at Spean Bridge to Invergarry, then taking the A87 to Shiel Bridge. From here we take the Old Military Road to Glen Elg and the ferry to Kylerhea on Skye for our first overnight stop. Saturday will be spent on Skye before returning South on Sunday via an alternative route. Anyone who wishes can join us for either the whole run or for any part of the route. The owner of the Cafe in the Park, has invited Wartburg Trabant IFA Club members to display their vehicles at his family-friendly cafe. After a coffee or a late breakfast the assembly will head out for a road run, possibly taking in a visit to the Motor Museum in Calne. The route will commence at this new attraction (with a cold war interest). From there the road run will head north up the A818 joining the A82, stopping off at Luss Filling station next to Loch Lomond to fill up and take photographs. The run will continue up the west side of Loch Lomond through Tarbet to the famous Green Welly for a relaxed lunch and impromptu car (and bike) show. The total route is just under 40 miles. The 750 Motor Club (Brooklands Centre) will organise the "Cobham Drive it Day Austin Seven Car Trial". Come and meet fellow likeminded enthusiasts. Pre-registration is a must, so please visit the website for more details and a registration form. 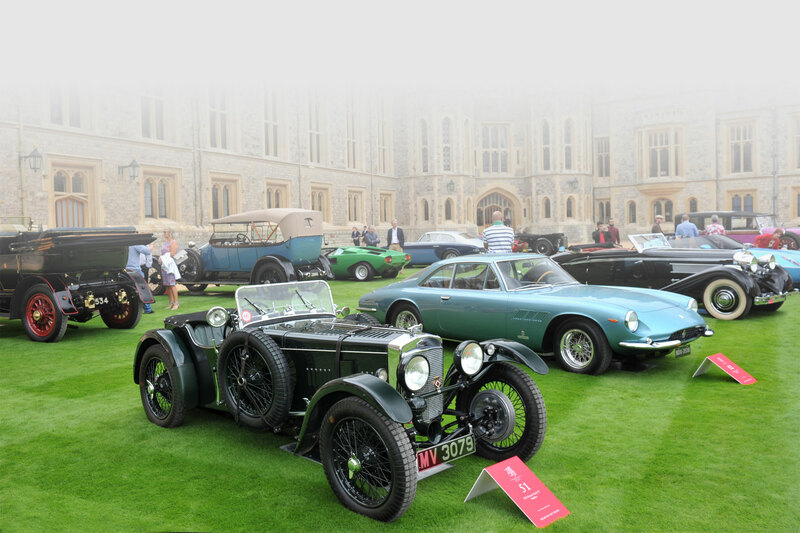 Please come and join the West Berkshire Classic Vehicle Club for their second Drive it Day event at the West BerkshireBrewery.Last year’s event attracted over 100 classic vehicles. The day includes a self-paced tour of the local countryside, specialist classic garage tour and is hosted at local award-winning brewery serving hot and cold food, with brewery tap. We are a small vintage and classic restoration workshop located at Hopcrofts Holt near Bicester. We would really like to support Drive it Day by opening up our workshop and providing a tea and biscuit pit stop! We have a large workshop with a wide selection of historic cars, everything from a 1908 Rolls through to a Honda S800 we also have a large carpark with great access for all sorts of vehicles. Commencing at Broadway and finishing in Honeybourne having been fortified by lunch in a welcoming watering hole somewhere along the route. Route will be around 60-70 miles long. After breakfast we will be taking a drive through the lanes of north east Wales and Cheshire to the Secret bunker near Nantwich, the drive will be approximately 30 miles one way and taking in some interesting villages for photo shoots, ending in a tour of Hack Green secret bunker (Entry fee applies). There are limited places available, and pre booking is essential, so this will be on a first come basis. All are welcome, no booking necessary, no entry fee but the Devon Vintage Car Club do make a collection for their chosen charity and that of the garden centre. Tea and cakes will be available and all classic vehicle owners are welcome. Visitors will also be able to visit the Museum to ensure a fascinating day. ‘Cars in the Park’ will see a gathering of Cold War Classics at the Cafe in the Park. The owner has invited Wartburg Trabant IFA Club members to display their vehicles at his family-friendly cafe. After a coffee or a late breakfast the assembly will head out for a road run, possibly taking in a visit to the Motor Museum in Calne. Owners are welcome to join the Run whether they are members of the Club or not. Line up along the Esplanade from the Beach Ballroom. If we all point south and park at an angle this should make departing easier. The GVRS Run will set off at 10:00 along the Esplanade to the Beach Boulevard. At the roundabout take the second exit onto West North Street. At the lights Turn Left onto King Street then onto Union Street and Holburn Street. At the roundabout take the second exit onto Great Southern Road and keep going until you cross the Dee bridge. Turn right and continue to the roundabout at the Bridge of Dee. Take the second exit onto Leggart Terrace and continue onto the South Deeside Road. At the junction turn right and cross over the Dee at Durris Bridge. Turn Left at the junction. Continue to the Royal Deeside Railway Visitor Centre at Milton of Crathes, ½ mile on the left. The Society has kindly opened their Carriage Restaurant for us again so that we can have a coffee and tour of their centre. There is the option of taking a 20 min. train journey at 11:00. Cost is £7.50 each (Group Discount) At 11:30 we leave the site and turn left. After 1.3 miles Turn Right into Hill of Banchory West Road. Continue for 0.3 miles and Turn Right signposted Hirn and Echt. Continue to the junction with the B977. Turn right. After 1 mile Turn Left onto the B977. At Echt crossroads go straight ahead. At Dunecht Turn Right then Left (sign for Castle Fraser). After 0.3 miles Turn Left and follow the signs for the Castle. There will be limited catering available so packed lunches are suggested. Take a tour to the Castle and have a walk around the gardens. The N.T.S. has gone to some effort to prepare for our visit so please make use of their attractions. 70 mile run through Oxfordshire, Northamptonshire and Buckinghamshire before arriving at our destination, Bicester Heritage. The route finishes in the midst of the Sunday Scramble at Bicester Heritage; to ease entry into Bicester Heritage we will have a fast track entry system that will direct you straight into the event hangar which we will have exclusive use of for the day. Spaces are limited to 100 cars. Breakfast at Chocks Away Diner (Hawarden Airport). We will then be heading out to the National Waterways Museum (Ellesmere Port). Please make enquires before turning up! Scenic drive to the Sandy Cove Hotel for a three course lunch which will be served on arrival. £22 per head, with a £10 deposit per head to be paid in advance. Confirmation of attendance must be made by 22 April. Come an enjoy the fun with the grand opening of the Jack French Garage. Other facilities include camping, road run and static rally.